Along with the new Acer Predator Helios 700, Helios 300, Nitro 5 and Nitro 7 gaming laptops the Taiwanese company announced something for the content creators as well. Actually, it is more than “something” – we have three new beautiful and powerful business series – ConceptD 5 (CN515-51), ConceptD 7 (CN715-71) and ConceptD 9 (CN917-71). 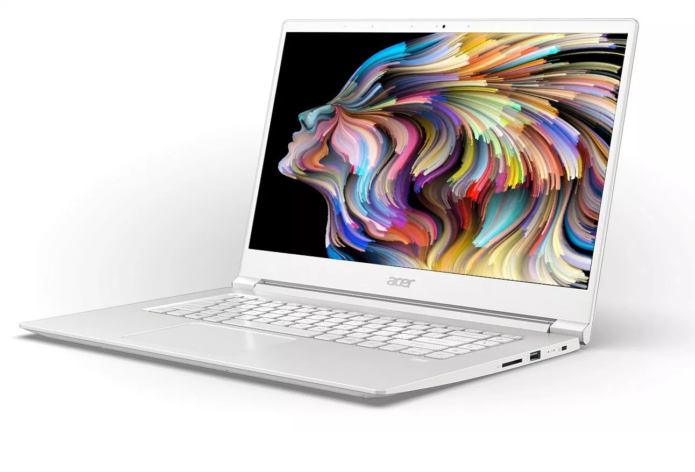 Acer ConceptD 5 is the cheapest but it’s definitely not a low-end notebook. Just take a look at its specs – we have a 15.6 UHD 4K IPS display with 100% Adobe RGB coverage and Pantone Validated calibration. The CPU is Intel Core i7-8705G and the AMD Radeon RX Vega M GL takes care of the graphics tasks. It’s 16.9 mm thick and it weighs just 1.5 kg.